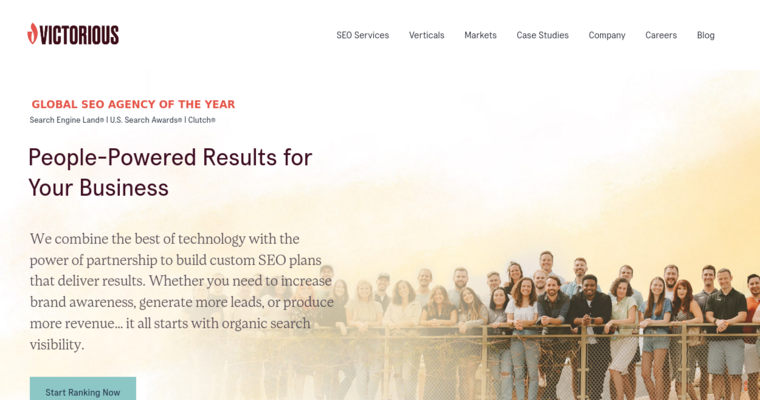 Recipient of the 2018 SEO Agency of the Year award, Victorious is a highly regarded and top-ranking SEO service company known for setting the standard in the industry. They employ a proprietary methodology that is data-driven and they maintain transparency in all of their practices. The simplified process employed by Victorious involves the selection of key words, a technical audit and the development of authoritative link campaigns. 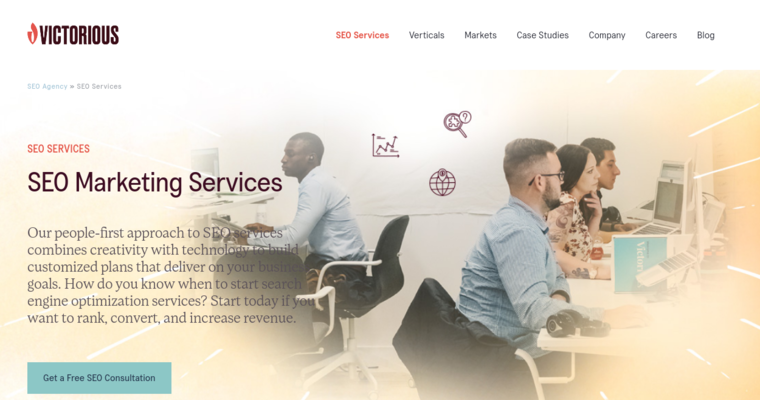 Clients of Victorious around the globe sing the praises of their team of experts for creating value, including their demonstrated ability to maximize ROI in a short period of time, often within just a few months. The growth enabled by Victorious is sustainable and should be an important part of business development strategies, regardless of your industry. Victorious has been ranked #1 among San Francisco SEO agencies and #8 around the world. The honors and acknowledgements earned by Victorious are unending.